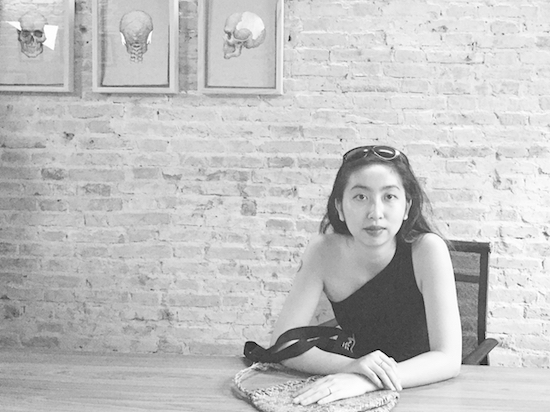 Arlette Quynh-Anh Tran is a curator and writer based in Saigon, Vietnam. She is Curator and Director of Post Vidai – the unique and largest collection of Vietnamese contemporary art. Arlette is also a member of Art Labor collective and was Assistant Curator at Sàn Art. Her curatorial practices aim to go beyond mere aesthetic value of art and consider art as catalyst, which uses visual language to interpret, question, and narrate multiple spheres of a topic. She focuses on collaborative labor between visual art and other disciplines, from natural and social sciences to business, design and fashion. Arlette has contributed her researches, writings and thoughts to various local and international publications, exhibitions and projects, such as Istanbul Biennale 2015; Hugo Boss Asia Award 2015; 2084 (2012) with Pelin Tan and Anton Vidokle; ‘Digitizing the Archival Materials of Blue Space Contemporary Arts Centre’, for Asia Art Archive; 1. World Biennale Forum, Kwangju, Korea; synapse – International Curator Network, HKW, Berlin; and several solo and group shows for young emerging artists in the region.